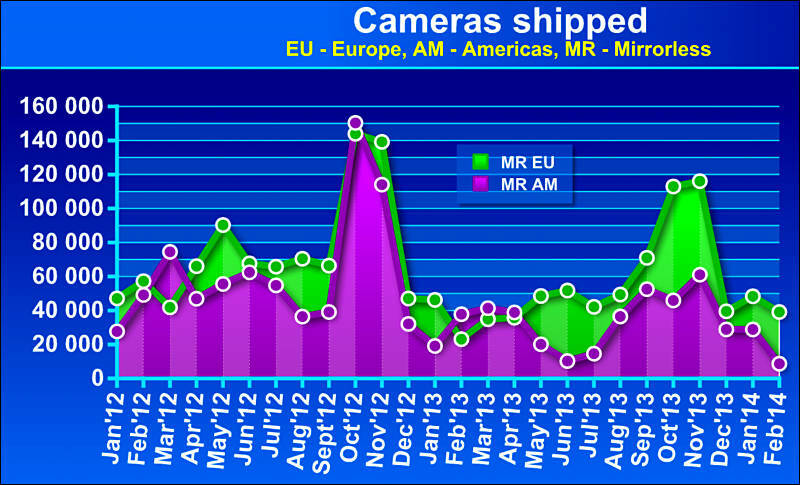 3/4 of all mirrorless cameras shipped is now to Japan and Asia, also new record. Have you a breakdown of the DSLRs co's proportions to the main DSLM co's? What is co's? Companies? 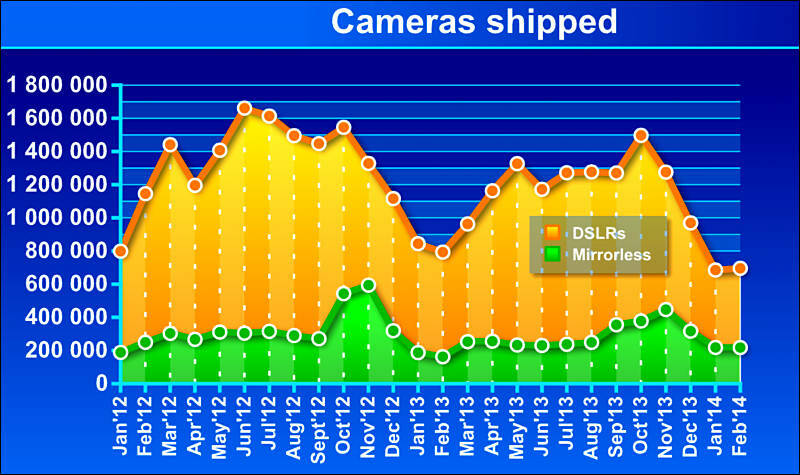 Or you just ask about percentage of mirrorless in overall system cameras? 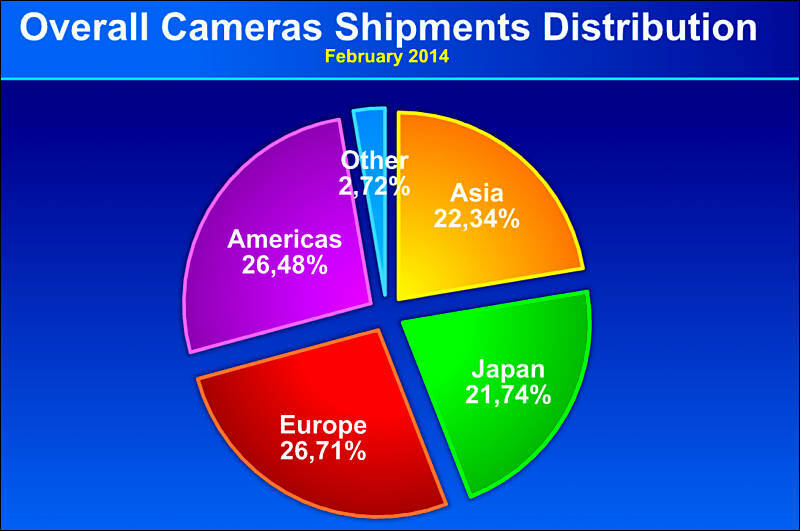 In Cameras Shipped pie chart, do you have a percentage breakdown for each of the individual companies which constitute the total makeup for DSLR sales? Ditto for mirrorless. i.e. what is each company's percentage share of the market? Such data is not available, whole point of CIPA is to provide data for industry not hurting companies. 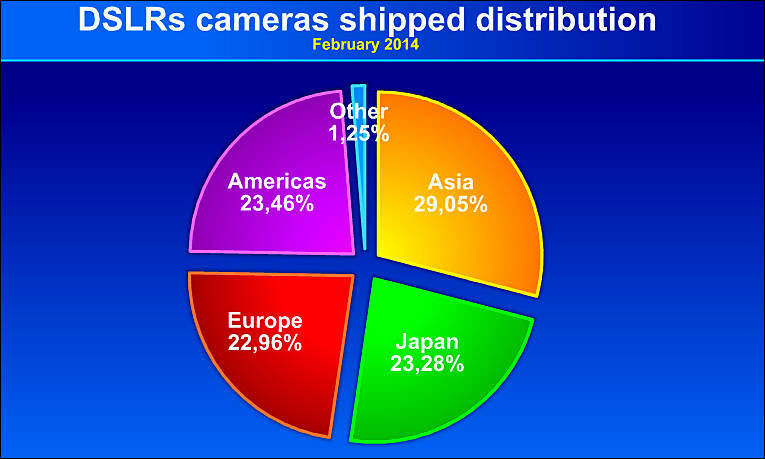 Research and Markets announced the addition of the "United States Digital Camera Market 2014-2018 with Canon, Nikon, Sony, Samsung Electronics & Panasonic Dominating" report to their offering. 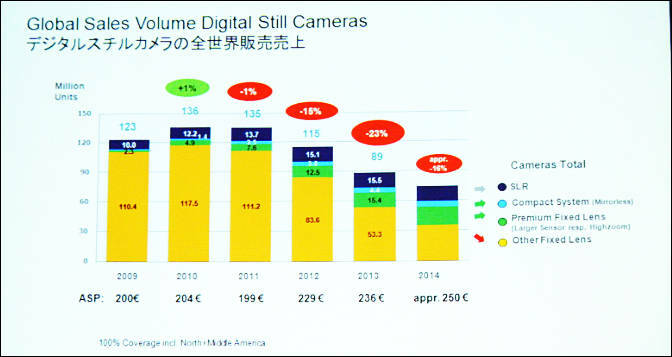 According to the report, the Digital Camera market in the US is driven by many growth factors, one of which is the increasing demand for MILCs. The increase in the demand for MILCs is mainly attributed to their improved features and light weight. 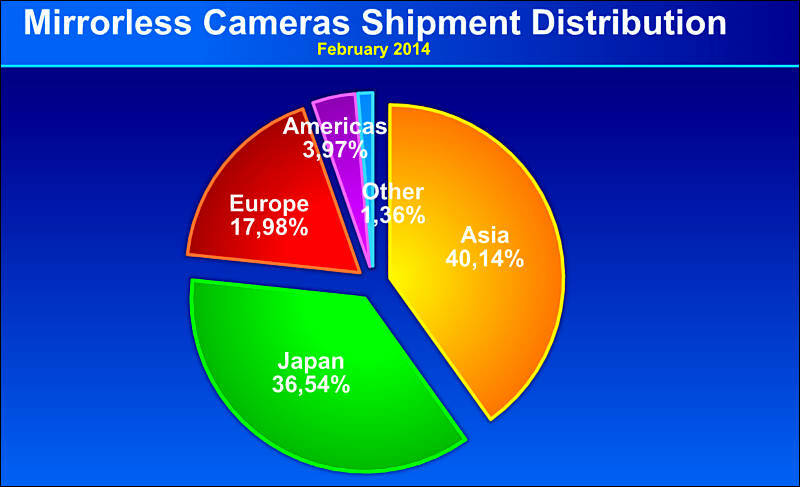 Moreover, these cameras are gaining popularity among female end-users because of their availability in different colors. In the past 12 months, a record 98% of all credit - $162 billion - has gone into non-revolving debt, i.e., student and car loans. How much has been added to credit card balances? An absolutely meaningless $4 billion, or 2% of total. 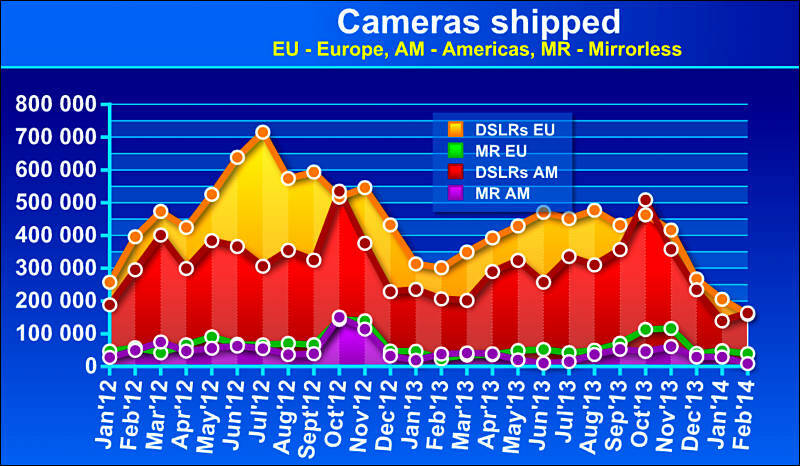 Quite strange prediction for 2014 camera market.